Planned upgrades to increase service frequencies on London Underground’s Jubilee and Northern lines, including the procurement of additional trainsets, have been temporarily ‘paused’, Transport for London has confirmed. TfL said the decision to pause the World Class Capacity project had been taken in the light of other ongoing upgrades and changes to travel patterns expected when the Crossrail Elizabeth Line opens. ‘The benefits from the largest investment programme in the Tube's history, combined with the huge capacity increases coming soon from the arrival of the Elizabeth Line, means that we are temporarily pausing our plans to buy more trains for the Jubilee and Northern lines’, according to London Underground’s Director for Strategy & Network Development David Hughes. ‘Our modernisation programme and in-depth technical work by our new combined engineering division has improved performance and reliability’, Hughes said. ‘This means we can increase the frequency of our existing trains without the immediate need for new trains’. TfL said new timetables to be brought in from January would boost capacity and extend the peak service hours. A refurbishment of the existing Northern Line fleet was completed in 2015, and the Jubilee Line fleet is currently being refurbished. TfL predicts that the Elizabeth Line will ‘transform’ how passengers get around London, and as a result it is expecting nearly 10,000 fewer eastbound Jubilee Line trips being made each day, and 5,500 fewer trips from Stratford to Canary Wharf. In addition, the return of a full Thameslink rail service to London Bridge station once the Thameslink Programme of upgrades is completed is expected to reduce westbound demand on the Jubilee Line from Canada Water. Politicians will squabble about who is to blame, but it is time to admit that Transport for London needs more money. 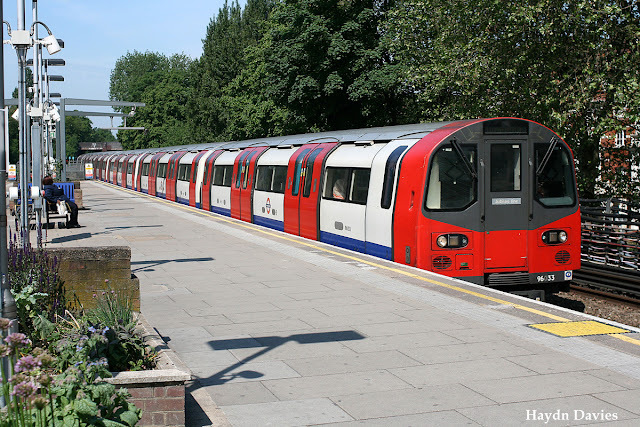 This week we finally had confirmation of something that insiders at London Underground have known for some time; TfL won't be getting the new trains that are needed for the next phase of upgrading the Northern and Jubilee lines. 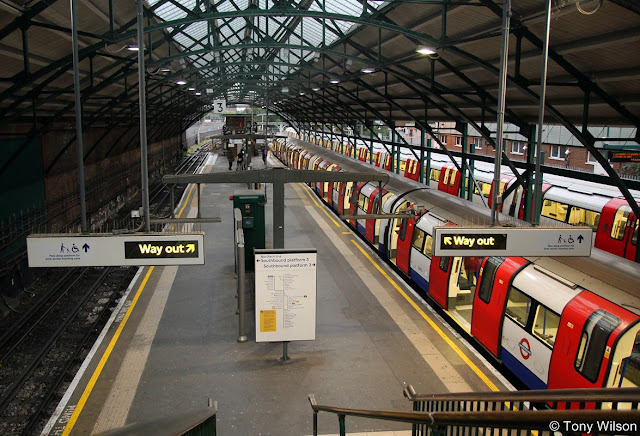 In March of last year, the TfL board approved additional funds for projects known as Northern Line Upgrade 2 (NLU2) and Jubilee Line Upgrade 2 (JLU2). These were designed to increase capacity, with 17 new trains for the Northern and 10 for the Jubilee. The Northern line is already the most overcrowded part of the tube and passenger demand is projected to increase by 25% by 2023. With an extension to Battersea due to open by 2020, additional trains are essential to stop overcrowding reaching dangerous levels. But now it is clear that TfL are not going to get the trains they need and the promised upgrade is just not going to happen. A press statement from TfL on Tuesday quoted David Hughes, Director for Strategy and Network Development as saying this was " a pause" in the program. I can only presume this is an entirely different David Hughes from the Director of Major Program Sponsorship, who was the Contact Officer for the paper submitted to the public session of the TfL board policy and finance committee last March. Because that paper said "the business case would erode" if NLU2 was delayed and a better strategy may be to "abort this project ". To claim that this is just a pause is simply not credible. Ordering new rolling stock is not the same as changing the delivery slot for your Sainsbury's order. New trains don’t just come off the shelf, they have to be purpose built on production lines and designed to be compatible with the existing stock and signalling. If they are not ordered now, they never will be. Like the parrot in the famous Monty Python sketch, the project is not sleeping or paused; it is dead, disbanded, an ex-project. But if the claim of a "pause" is disingenuous, then the reason given for it, is really an insult to the intelligence of the tubes beleaguered passengers. The justification is that Crossrail, the Elizabeth line, will ease overcrowding. Well, despite its Royal branding, Crossrail is not a magic railway. It runs easy to west. It will do nothing at all to ease overcrowding on the Northern line which runs south to north! Of course, on opening it will take some passengers journeys from the Jubilee line, but the entire point of the line is to provide the extra capacity that will be needed as London's population grows. Within a couple of years of operation, it will be full. All the current investment in London's rail infrastructure, including the Elizabeth line, is designed just to stop overcrowding increasing beyond current levels, not to decrease it. Cancelling the upgrades of the Northern and Jubilee is a short term saving that will cause twenty years of trouble for passengers. So why is this happening? Politicians will squabble about who is to blame, the huge cuts to operational funding made by George Osborne, the impact of the fares freeze, the fall in expected revenue from property and ticket sales. But away from the blame game, the transport professionals at the head of TfL must start having honest conversations with their political masters. London Underground simply hasn't got enough money to do the things that it is being asked to do. The current cost cutting program is not sustainable. It cannot be delivered without doing long term damage to the reliability and safety of the system. Instead of churning out press releases that pretend everything is going to be ok, senior managers need to start being honest about the situation they face. For now, they are like Charles Dickens's Mr Micawber, in constant hope that "something will turn up". It is time to be more like little Oliver Twist and publicly say " Can I have some more ? ".